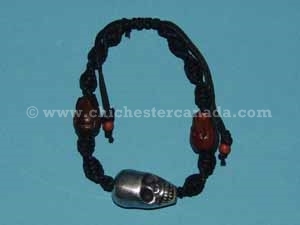 This is a braided wax cord bracelet with a metal skull and two wood skulls. The bracelets are adjustable. 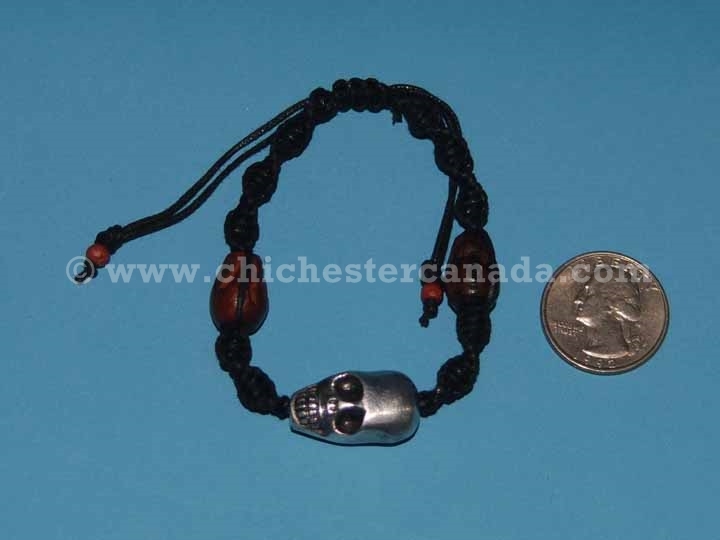 They weigh about seven grams or 0.2 ounce.